Gentlemen. It's about time to start a "build" (more like bolt on parts) thread for my latest rig - a 97 2dr sport named RJ as per my girlfriend (it stands for Ruby Junior to honor my last rig named Ruby). 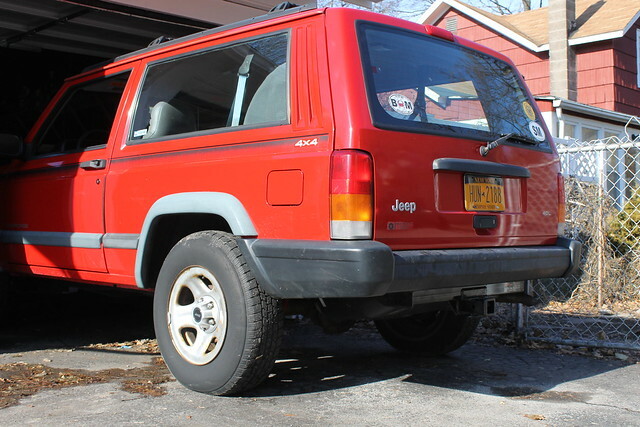 Before getting into plans and progress, a little back story: I bought the Jeep in October 2017 with 138k miles, no structural rust, and no mechanical issues. 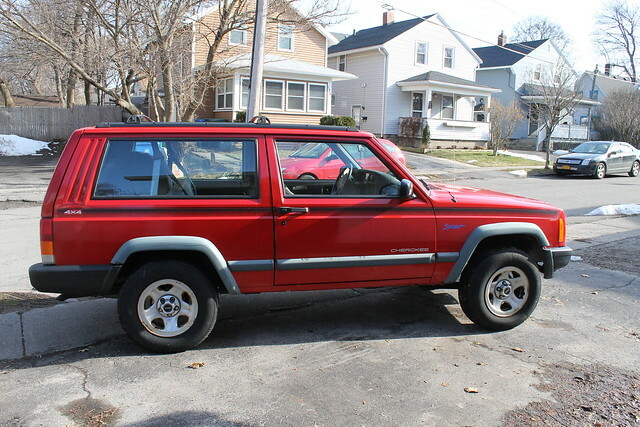 Being in upstate NY, finding a low mileage, unmolested Cherokee without rust is damn near impossible, so I paid WAY too much for this thing, but honestly, i could care less at this point. I've owned 10 vehicles in my life and this is probably my favorite. The transmission is in so much better shape than my last stick shift rig and this one was clearly well taken care of by the previous owner. The only issues currently are poor fuel economy and a untrustworthy fuel gauge. Being a stock Jeep, it rides great but has its faults. Without the Up Country package, these Cherokees and pretty lacking in true off road hardware. No recovery points, no skid plates, lazy 3.07 gears and open differentials. I also don't want a lifted trail rig on 33s (already did that) as I'd like to keep this one my daily driver/weekend warrior. 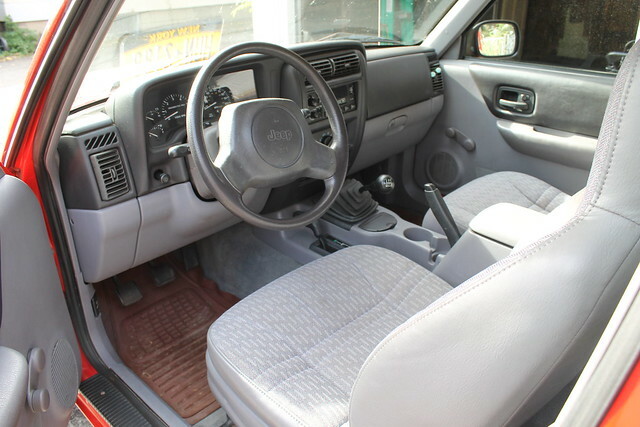 Interior is mint. I love the manual windows. 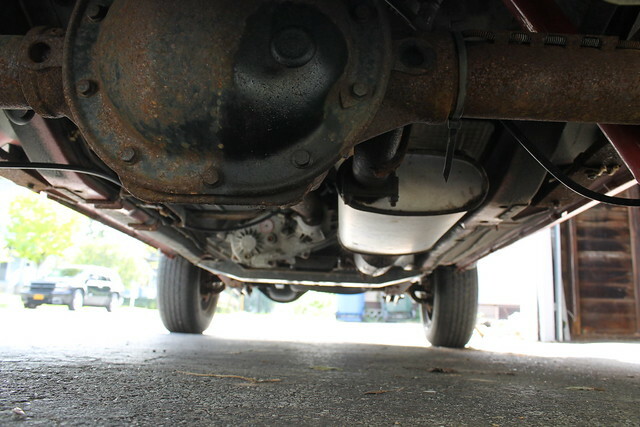 The only rust is surface stuff on the axles and suspension. The uniframe is MINT. Also, it does have some sort of aftermarket exhaust. It's not overly loud, but it sounds deeper. I really dig it. Since I got it, I've just been driving it everyday. It's a great rig that I hope to keep for a long time and have it "done" by the end of 2018. 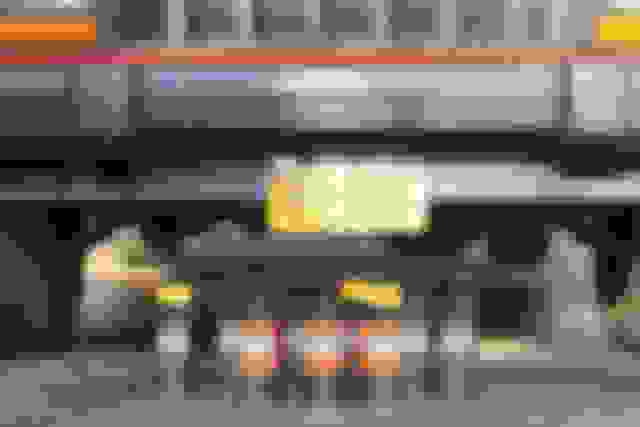 Last edited by Battle; 03-09-2019 at 06:36 PM. Looks great! Reminds me of mine. I also went the 2" lift with 30" tires route (although I have M/T's because I got a killer deal). 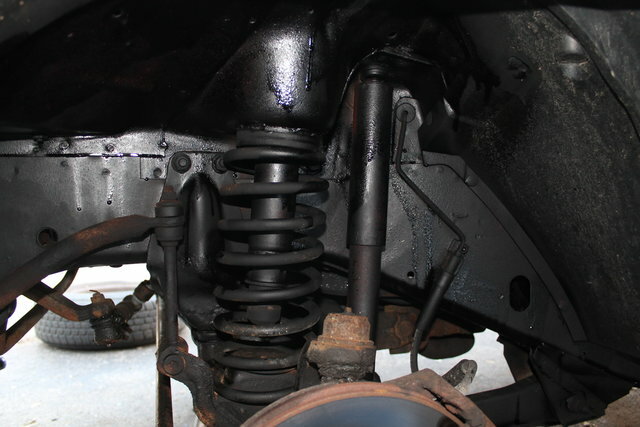 I went with Bilstein 5100 shocks because I read the OME ones are suuuper stiff, not sure how they compare though. I also used ironman4x4's shackle relocation bracket to get a perfect angle on my shackles which you may want to consider. Not trying to push anything on you, just suggestions! Glad you are looking to do this the right way and not just add pucks or slap on a 3" RC lift. Since owning RJ, I have done SOME stuff to her. I undercoated it with Cosmoline Black and Cosmoline RP-342. This stuff is LEGIT. I plan to apply this at least once a year to try and keep the truck as rust free as possible without parking it during the winter. That's what the black looks like after being sprayed (it's still wet in the pics). The stuff is really sticky and tough. I applied a few coats but plan to do more when the weather warms up a bit. After that, I started on recovery points. 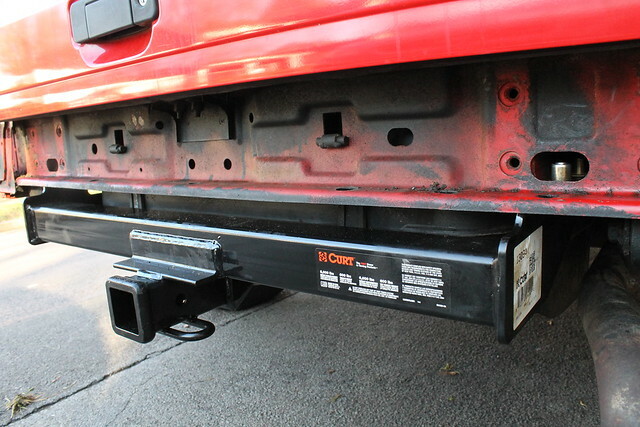 I would like this to tow a small trailer or small car, so a class III hitch seemed to be the best for the rear. 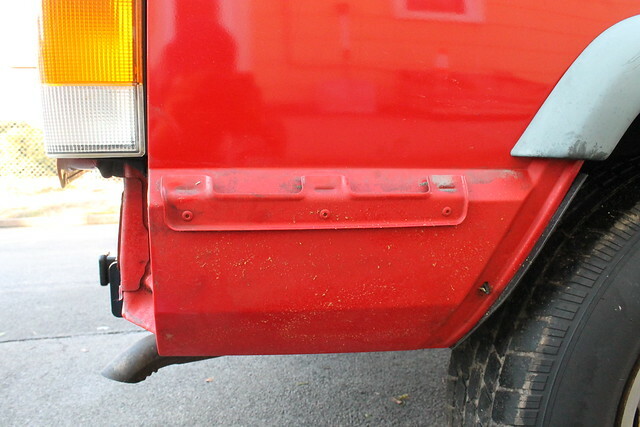 I don't want an aftermarket bumper, so tow hooks should do the trick for the front. Bought both and it's only been warm enough to install the hitch. I used JCR nutsrips and a Curt hitch. 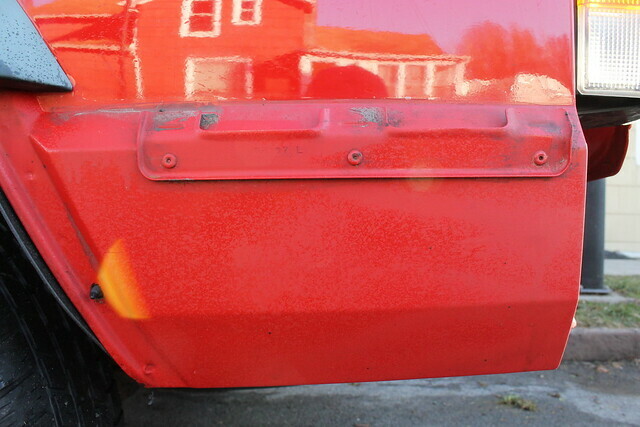 While I had the bumper off, I sprayed some Cosmoline RP-342 which is more like Fluid Film in that it's wax based (I think). Applied it on the rear and rear quarter panels. Stickers from previous owner. I'm NOT a UAW member. These off-brand mud and snow tires are actually pretty good. Would like to run Geolander ATs in the future. Thanks man! Mind sharing some pictures of your rig? I had 5100s on my last rig and loved them! I thought about running the yellow Bilsteins for this one, but want to give the OME stuff a try. If I don't like it, then I'll sell them and get the Billys. The rear is where I'm most curious. 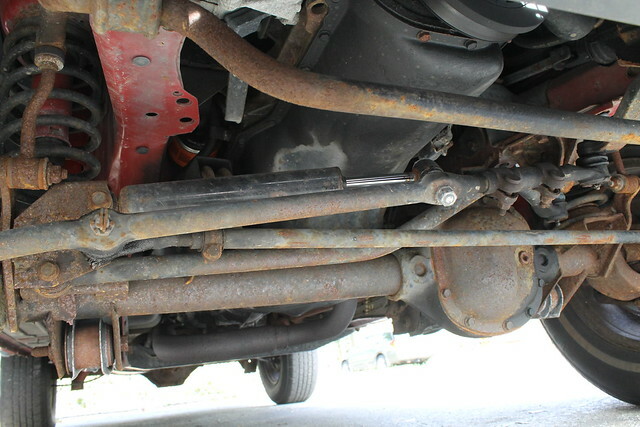 With the IRO shackles, I can run 0" to .75" of lift (they're adjustable) but my angle would likely be close to stock. I'm trying to stay below 2" of total lift and worry the relocation boxes might add too much. I also don't want to hack this truck up to install no-lift relocation boxes. I'll see how it turns out I guess. I can always "rebuild". My last rig went through three or four phases before I sold it. And yeah, I'm going for performance - not looks, so screw the 3" RC lift haha! I think the shocks I'm buying are more than that entire lift. I don't know if you did it or not but I would suggest and maybe to late but if you didn't take care of any surface rust prior to putting any undercoat on your going to run into problems deeper than what you have now. I lived up in Upstate New York, specifically Albion which is slightly between Buffalo and Rochester so I know all too well about the nasty winters up that way and the salt on the roads. My brother bought his Dodge pickup never really took time to clean up any surface rust, took it into Zeibarts to have it undercoated and about 4-5 years later it trapped all that rust and moisture underneath causing more problems. He still has the truck but has since done other things to prevent it. Couple things you can do, try using fluid film...also pull off any body plugs on any body panels if there are any and spray WD40 inside them. Probably won't be able to get up into the uniframe at all but you said that was in great shape. Another cheaper alternative but obviously a messy one is old motor oil and applying that to your undercarriage. I recommend putting drop cloths down first before you do so. All this is good but if you don't get rid of surface rust or rust in general before you mask over it and cover it up your going to just slow down the process but trap it underneath and rot things out. Just offering my 2 cents if it is worth anything. Otherwise I'm very surprised in the condition of that Jeep up there. I imagine it was not an upstate NY vehicle all its life and if it were then the previous owners kept it washed and garaged when not using it. Battle - We're on the same wave length. 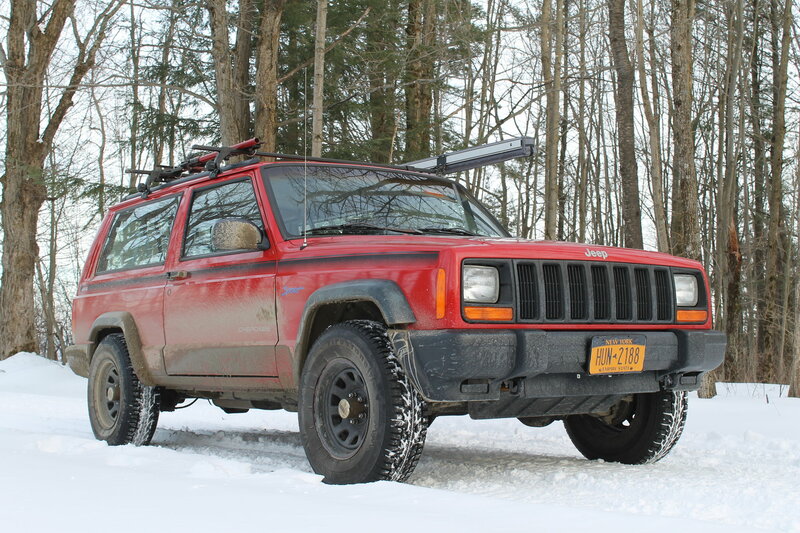 I purchased a '89 2 dr. XJ last fall with the intent of it being a year round vehicle. I'm the 3rd owner and the last 2 guys took very good care of it. It has a 2" lift with 245/75R/16's (30") Goodyear MT/R's on it. I'm putting a set of new Duratracs (same size) on it next week - just waiting for a set of MOAB wheels to come back from the powder coater. Like you, I want to maintain the stock appearance (generally). I'm keeping the stock bumpers but will be making some mods. 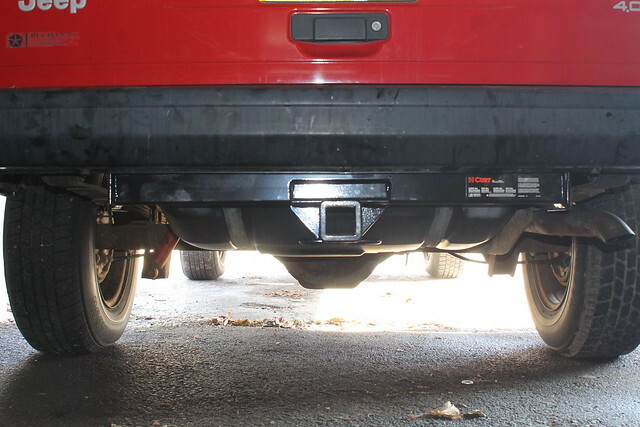 I plan to shamelessly rip off the Detours tailbone bumper with an external spare wheel on the rear. I might install a hidden winch up front. I'm also considering a 2" receiver hitch on the front. I see you went with a Curt hitch. I believe they make one for the front too. I send my Jeeps in to Krown Rustproofing every year. I also apply the same rustproofing spray (T-40) whenever I work on it. p.s. - I know Rochester and it's winters well. I haven't been down in a few years but I used to go to the Blue Cross Arena for Toronto Rock at Rochester Knighthawks National Lacrosse League games. Last edited by PCO6; 02-25-2018 at 10:59 AM. Like you, I want to maintain the stock appearance (generally). I'm keeping the stock bumpers but will be making some mods. 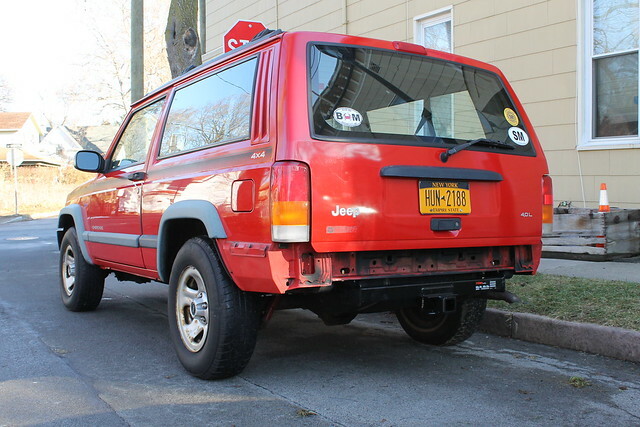 I plan to shamelessly rip off the Detours tailbone bumper with an external spare wheel on the rear. I might install a hidden winch up front. I'm also considering a 2" receiver hitch on the front. I see you went with a Curtis hitch. I believe they make one for the front too. That's camouflage. I also have a black MJ ... that I only drive at night. That 2 door is CLEAN! My dad stopped and looked at that jeep, then I went to look at it a day later and you had already bought it. Glad it went to a forum member. Looking forward to the progress. before I stopped driving mine( it entered the eternal project phase, put off another year again) I was getting 19-21 mpg with 235s, 3.07s, and ax15. How far off are you from that? driving about 5 over generally. Also I am a firm believer in Fluid Film before and after winter. ~$35 a gallon at napa usually. Looking forward to this one. You’re going a similar route as me. Definitely subbed! All good stuff man. The truck did not come from NY - I just bought it up here. It's a southern PA truck (near the MD boarder) so the parts I sprayed with Cosmoline were clean. The stuff can come off with certain solvents. I plan to do a more thorough prep when the weather turns warmer, but I wanted to do something for its first true winter. I have fluid film and used it for certain sections of the body, and the Cosmoline RP-342 is very similar. I used fluid film exclusively on my Subaru which gets driven in the winter by my girlfriend, so I'm more curious how both hold up. I tend to wash the Jeep more than she does the car, so we'll see. Solid tips though - thanks! Dude! That old school 2dr looks MINT. I dig it. What lift are you running? Budget boost? I really like Detours stuff too. I'm hoping to get his Backbone system eventually for some self-sufficient recovery. While I don't want to wheel or trail ride alone, the off-road community up here is not my cup of tea, so a winch might be a necessary tool. Thanks brother. We're both 2 door fools! Wait, really!?! I've followed your thread before but haven't checked recently - do you live in upstate NY? We should meet up if so! That's crazy you looked at the Jeep. The previous owner did tell me he had a horde of people chomping at the bit to get it. I feel pretty honored. And I just checked economy yesterday and it's not as bad as I would have thought - 15 mpg from basically pure city driving. My last rig with the 235s, 3.07s and a stick got about what you're getting (heck, it got 19-21 mpg with 4.11s and 33s), so I know a tune up is in order. 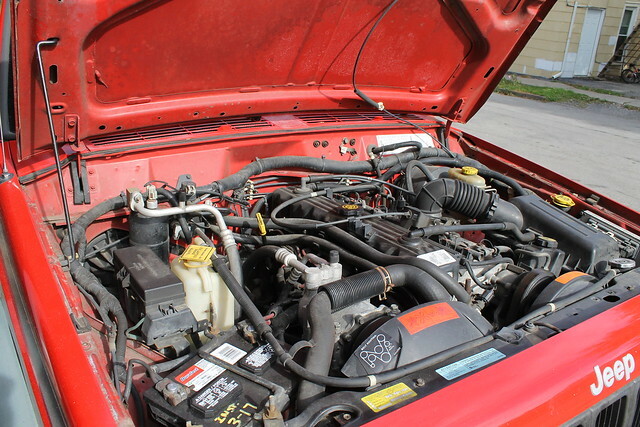 I'm going to do 784 injectors, a K&N drop-in, a 62 or 63 mm throttle body, header, and some Accel ignition parts. We'll see what happens. The one issue I fear is the fuel pump. When the tank is full, I can hear churning coming from the tank after shut off. Never heard that before in either of my Cherokees. It's a 2" budget boost (spacers up front and an add a leaf in the back). 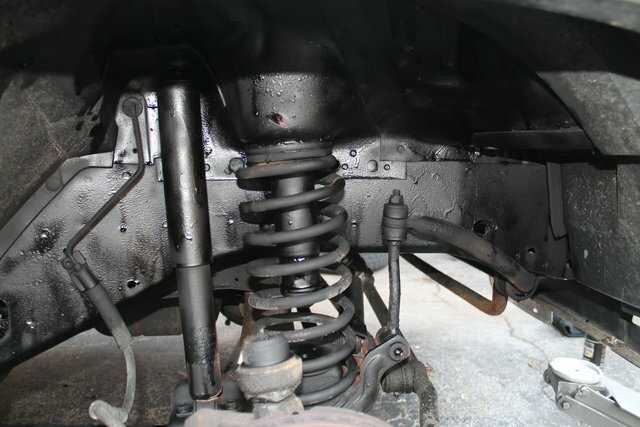 When the time comes I'll put in proper coil springs (OME?) and shackles. 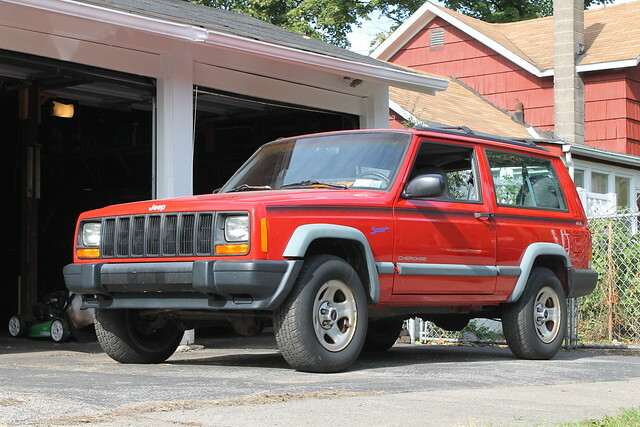 I'm working on my Comanche now (2WD to 4WD) so I have time to figure out just how to approach the Cherokee. I'll be fabricating a rear "Detours-like" backbone & wheel carrier. I definitely plan to keep the original bumpers but not sure yet if I'll stay with the chrome ... it would be different. They're growing on me. Those 2 doors are unique and I like them, I wouldn't mind grabbing one if I find one for the right price one day. Maybe one day I will be back in Upstate NY and we can all meet up Retirement in the Navy is 6 years away so likely not before then unless they give me orders in Saratoga. Last edited by XJIrish4x4; 02-28-2018 at 11:58 AM.